This is not an exaggeration. HaloCompact-01, the Halomed’s most compact halogenerator, is ready to go within minutes. No special installation skills required: unpack it, connect the dry salt aerosol concentration sensor, plug it into the mains, load pure salt — the run-up stage is finished. You can press ‘Start’ and enjoy the beneficial and relaxing HaloSPA session now. 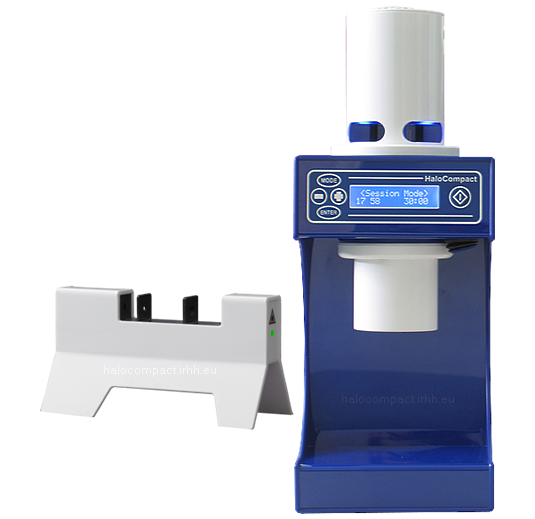 This small yet powerful halogenerator produces and maintains a high-quality active dry salt aerosol atmosphere, which fully complies with the requirements of Controlled Halotherapy. 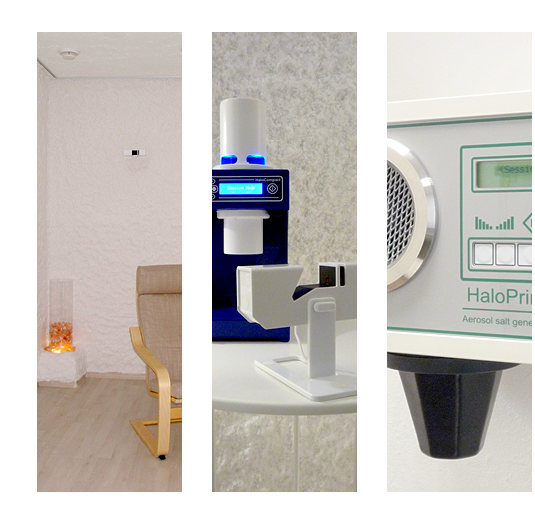 We have opened a first fully functioning Halomed salt room showroom in Budapest, Hungary. 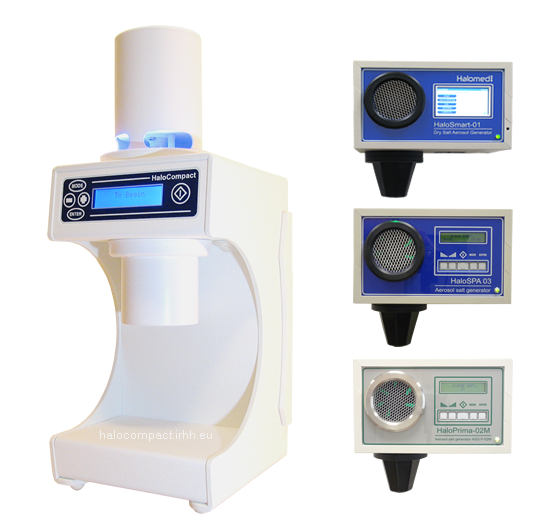 Halogenerators for wellness HaloCompact-01, HaloSmart-01, HaloSPA-03, and professional Class IIa medical device HaloPrima-02M made by Halomed are available for you for trying out up-close and personally. We will be glad to answer your questions concerning Controlled Halotherapy and HaloSPA, to demonstrate you the halogenerators and Halomed technology, as well as to consult you on any salt room construction, upgrade, and maintenance issues. In 1991, Halomed-Aeromed Group had designed and built the first device for generation of the dry salt aerosol — the halogenerator. We have been devoted to its further development ever since. We are the originators and pioneers of Controlled Halotherapy, and we never slowed our pace. For over 25 years, Halomed-Aeromed Group has been creating new trends in Halotherapy and halogenerators. We design and build the most effective salt rooms, we consult, research, promote, and educate. Over 4,000 customers throughout the world successfully use our products and services. Copyright © Institute of Respiratory Hygiene and Halotherapy Kft., 2007—2019. Copyright © Prof. Alina V. Chervinskaya, M.D., Ph.D., 1988—2019.